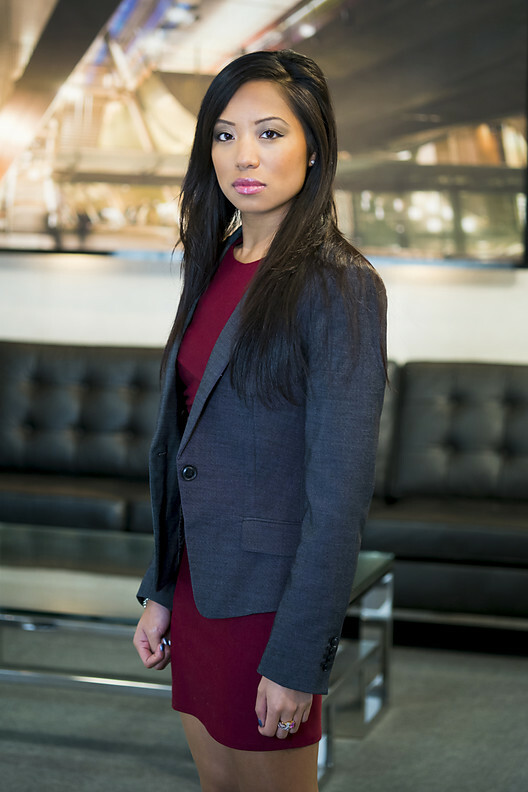 The Economics graduate is going ‘all guns blazing’ in this year’s competition. 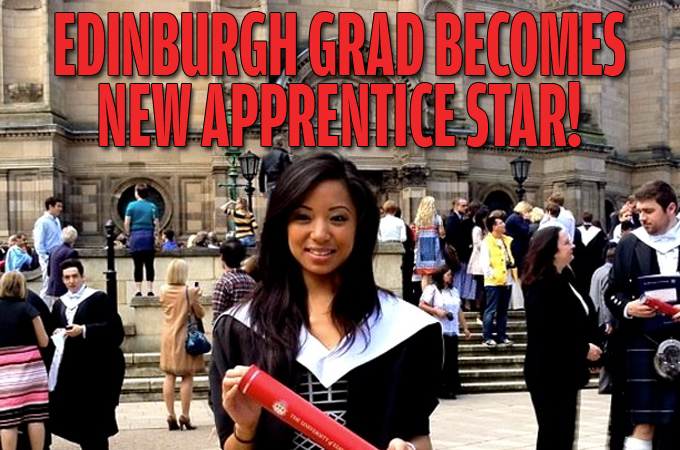 The Apprentice will be back on BBC1 next Tuesday, and this year it will be all the more exciting for us Edinburgh Students. Sophie Lau, a contestant on this year’s show, graduated from Edinburgh last year with a 2:1 in MA Hons in Economics with Management Science, which means we automatically have a new favourite (she’s not too bad on the eyes either). In a Tab poll, Edinburgh students told us they thought this course was the easiest at the University, but who cares? If it gets you on TV, then it’s a great choice in our eyes. 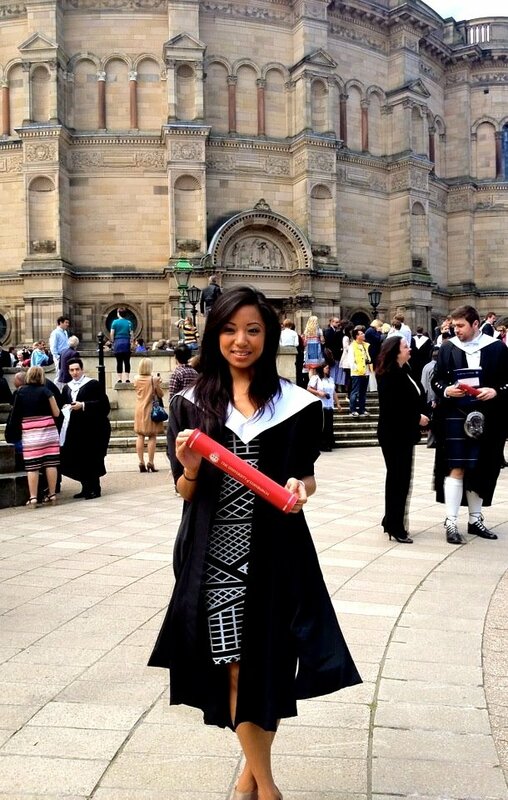 The Bristol-born, Edinburgh graduate ran a restaurant in Bristol, while she was still 19 and studying in Edinburgh. Sophie says her greatest strengths are creativity, and describes herself “as innovative and intelligent.” She also sees herself as the “female Justin Bieber.” You go, girl. Sophie says on her audition video that she can’t stand people “trying to assert their assertiveness over her, when they haven’t gained her respect.” Clearly the four years of being in Scotland has rubbed off on her. We’re so proud. The Tab’s favourite Sophie quote however, will most probably also become our new life mantra. In the words of Sophie: “Go big or go home. And back yourself. If I didn’t back myself, I’d probably be dead right now.” Well that told us. So get on board guys, she’s one of our own. Take a look at her competition (and laugh at their ‘serious’ faces). And a final one, here’s the video of the official Apprentice song. Enjoy.